Toshinori Takayama ended his Reborn! 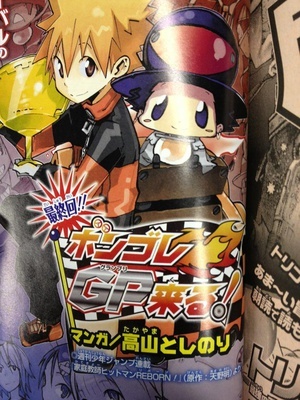 manga spinoff Vongola GP (Grand Prix) Kuru!in the December issue of Shueisha's Saikyō Jump magazine on Friday. The manga debuted in the inaugural issue of the magazine last December. Shueisha will publish the third compiled volume of the manga on December 4. Pumpkin's Palette: Tomoe chibi ver.